For me, Boston is one of the must-visit US cities. As well as being one of the country's most historic metropolises, it is among its prettiest and best suited to discovering on foot. Of course, your average trip across the pond doesn't exactly come cheap, and forking out for premium attractions can easily turn your US adventure into an unwelcome holiday headache. The good news is that Boston is actually a pretty budget-friendly city - you just need to know where to go and what to do. Those in the know will find enough free attractions to keep them occupied throughout their time in Boston - though I would point out that by focusing on visiting unpaid sites, you're likely to be able free up a little cash to treat yourself to visiting the occasional paid-for attraction. Taking steps like booking cheap accommodation through Hostelbookers can also make more room in your budget for the odd additional expense. But before I get carried away giving you tips on ways to save, let's turn our attention back to the free attractions themselves. Below, you'll find a selection of my favourites - hopefully these will give you a few ideas for your own trip. Boston has a thriving public arts culture, which means there are loads of pieces you can see absolutely free of charge. 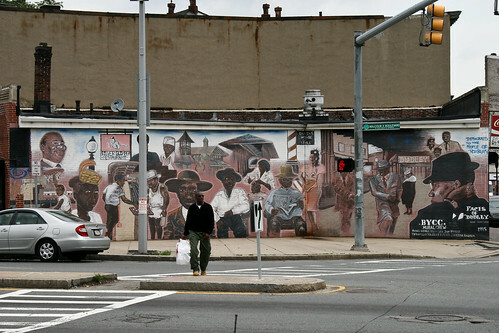 These installations are organised by Public Art Boston, which is run by the Boston Art Commission and Mayor Thomas Menino. Now, you're likely to catch sight of a fair few of these while exploring the city, but I think it's worth taking one of the Public Art Walks to see them in a more structured manner. You can download a map on the Public Art Boston website, or head over to the Prudential Center, Boston Common or the Mayor's Office of Tourism and Special Events to pick up a free paper copy. Then, you can guide yourself around some of the city's most impressive artworks. 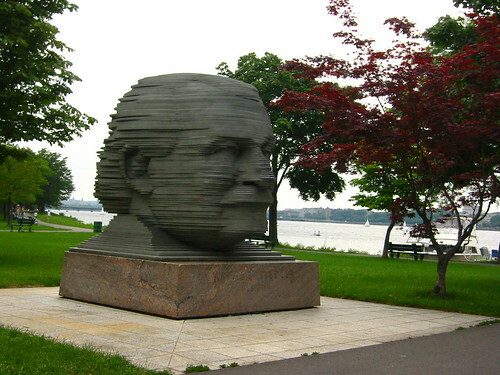 Particularly worth looking out for is the imposing Arthur Fiedler Memorial in Back Bay, which was created by Ralph Helmick in 1984 and is made of 83 sheets of aluminium. 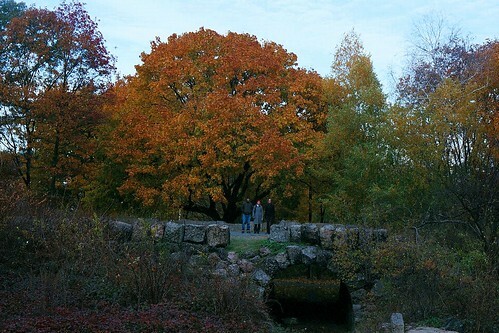 No visit to Boston is complete without spending some time in one of the nine gorgeous parks that make up the area known as the Emerald Necklace. Together, these span 1,100 acres and each has something different to offer - but I think two particularly stand out. 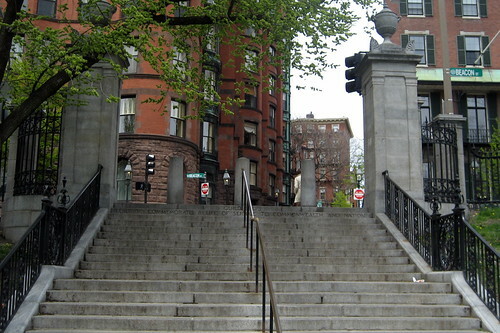 The first is Boston Common, which was established back in 1634 and is America's oldest park. From the military stirrings of revolution to anti-slavery rallies, this reserve has seen some of the city's most important milestones. Today, it's a great space to walk, relax in the shade of a tree or ice skate in winter. The second is Franklin Park. The largest (and, I think, prettiest) park in Boston, it was created in 1885 and is home to a gorgeous woodland preserve, as well as Franklin Park Zoo. The latter isn't free to visit, but it might be something you want to splash out on. If not, Franklin Park is a beautiful spot for a leisurely picnic. 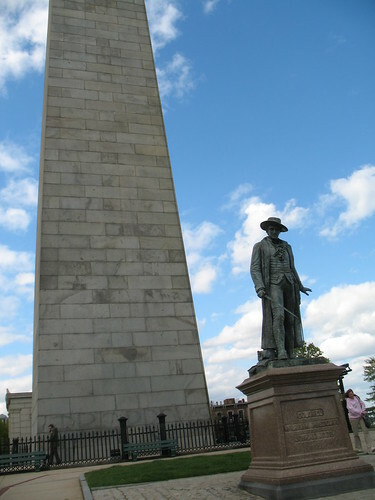 Last up is Bunker Hill Monument, which is a slice of history and a stunning viewpoint rolled into one. You'll find it on Breed's Hill, where it stands some 221 ft tall. Located at the site of the first major battle of the American Revolution - fought in June 1775 - this monument is free to visit and climb. You'll need to conquer 294 steps to reach the top, but trust me, the incredible views across New England are definitely worth it.